Call an ambulance or not? Home / Uncategorized / Call an ambulance or not? The Arizona Sports League stresses a safe, casual playing environment for our participants. We limit physical play and at times deny people from playing based on their physical play. Yet this is a Sports League and anytime you play in an organized sport there is a chance for injury. That is why people that play in the league need to have medical insurance to cover any expense and even a small accidentally insurance policy to help bridge the cost of your medical insurance coverage. When an injury does occur you have to consider if getting a ride in an ambulance is worth the cost. This is a personal decision but some factors to take into consideration is if the condition is life-threatening, could the person’s condition worsen and become life-threatening, will moving the person make matters worse, or do you need the expertise and equipment an ambulance offers. Most of the injuries are severe ankle sprains to knee injuries. In these events you might consider having someone take you to the nearest care facility. 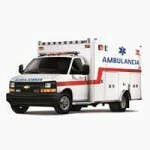 This will help avoid the cost of the ambulance ride which can range around $500 to $900. An article on Arizona Central states the average ride runs $860. Your medical coverage might cover ambulance rides so you should check, but if not it might be an unpleasant bill you receive.